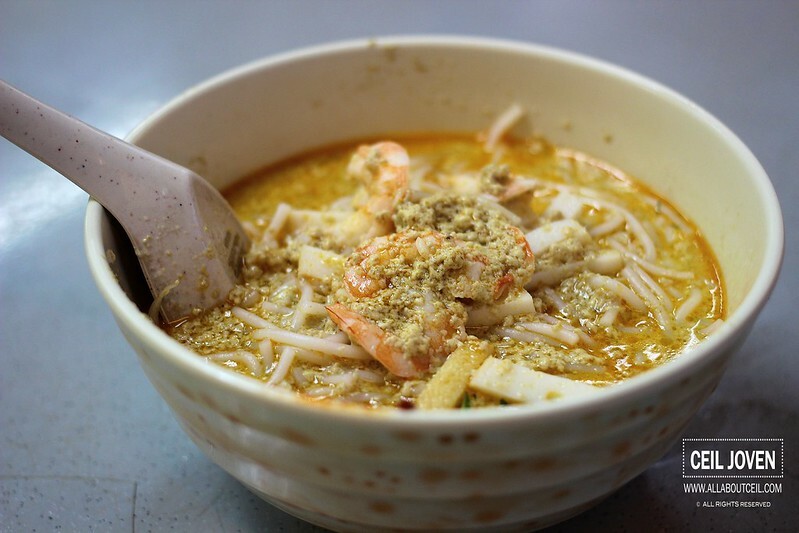 ALL ABOUT CEIL: Janggut Laksa - the Original Katong Laksa. 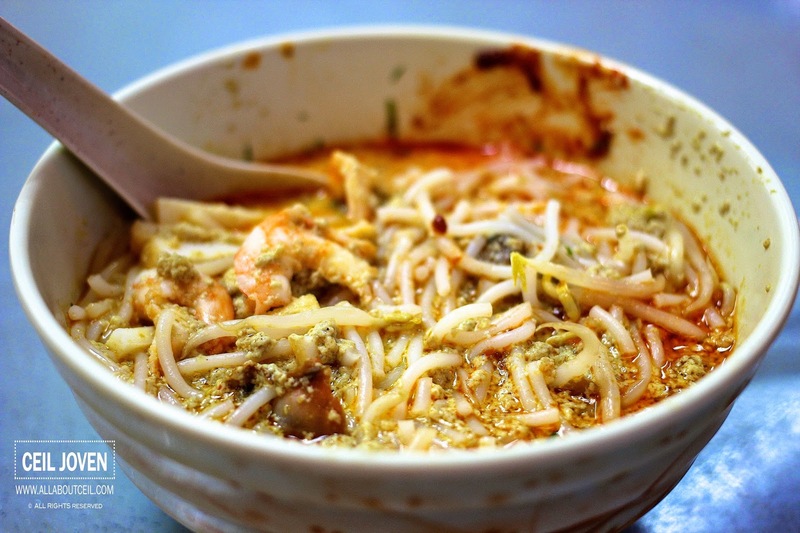 I came purposely to have this supposedly famous Katong Laksa. 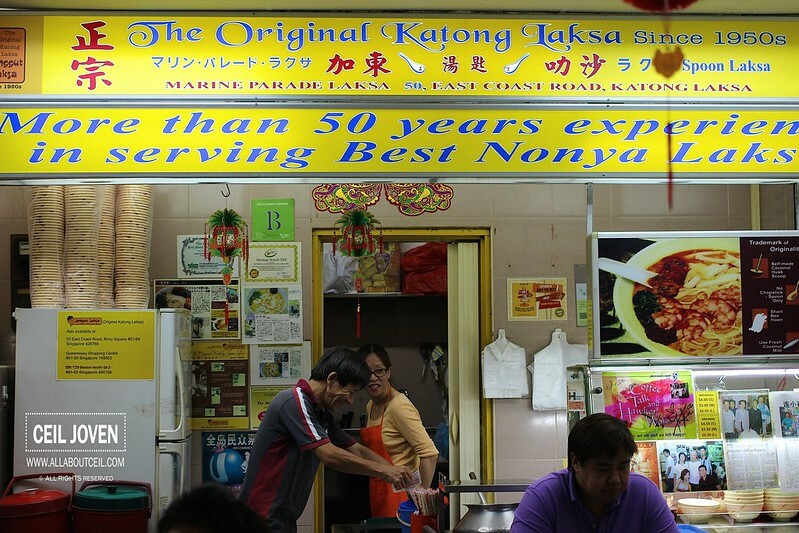 Though they might not be the most popular amongst other choices for Katong Laksa but they claimed to be the original Katong Laksa that founded more than 50 years ago. This stall is located in a food court at a not so prominent corner of Roxy Square. You might want to take note that there is another food court located at the basement so as not to mix them up. I was there during lunch though the food court was rather packed but i was the only customer right at this stall. There is the $4, $5 and $6 portion for selection. I decided to go with the $5 portion with cockles added. I was asked to take a seat as it shall be served to the table. It was served rather quickly by the Uncle to the table. First impression was the portion did not quite justify the amount of $5 paid. It was rather little served with 3 pieces of halved prawns with bits of fish cake and beansprouts. I took notice that the spoon used has got bits of dark stains and it did turn me off quite a bit. Generally, the taste was rather good with a distinctive taste of coconut milk. The chilli tasted slightly sweet and rather mild in level of spiciness. The ingredients including the cockles somewhat tasted fresh. 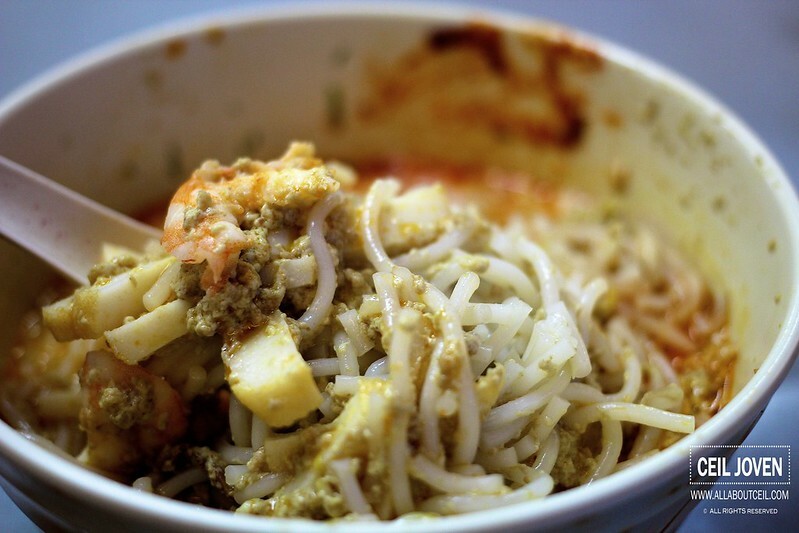 Overall, it was a nice bowl of Laksa though not particularly impressive. 50 East Coast Road #01-64 Roxy Square SINGAPORE 428769.